Watch how does it Works ? This is just basic tutorial on interfacing Bluetooth module with arduino This project can improved to higher level like Home automation using smartphone, Smartphone controlled robot and much more. 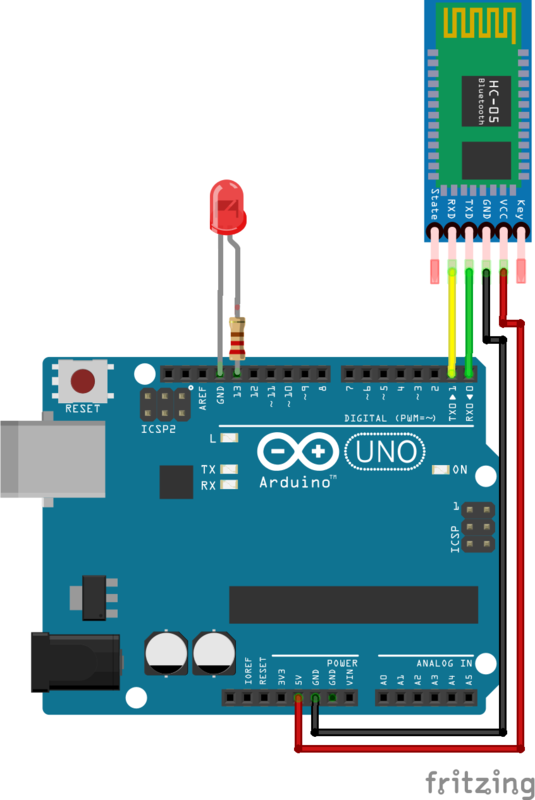 Upload Arduino-Bluetooth-Basic.ino sketch to arduino NOTE : Remove Bluetooth module Tx Rx connection before uploading the program.